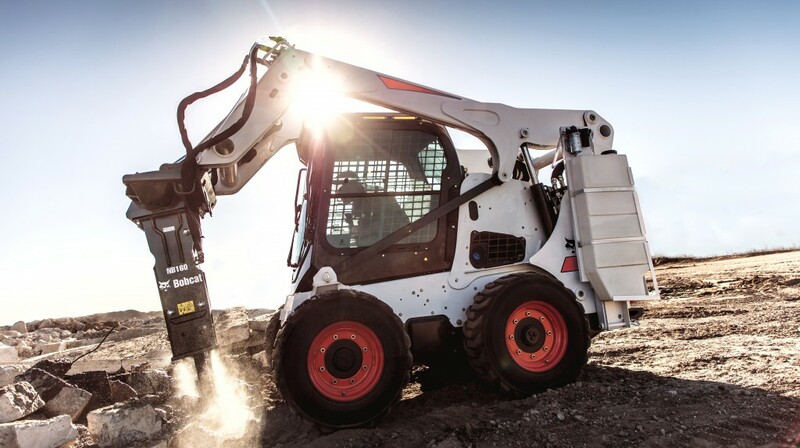 "The Bobcat nitrogen breaker has the impact power customers want for difficult demolition jobs, like removing reinforced concrete slabs," says Travis Kidder, Bobcat attachment product specialist. The new Bobcat Nitrogen Breakers have minimal internal parts, a single lower bushing and easily accessible grease ports. Each of these design features reduces the breaker's maintenance requirements and makes rebuilds easier. The unique valve design of the breakers lessens hydraulic pressure fluctuation, which reduces stress on the carrying equipment's hydraulic pumps. A loader X-Change mounting frame allows owners to transition nitrogen breakers from a compact loader to a compact excavator. This can be beneficial to customers who regularly change attachments between carriers. It's also a popular feature for rental stores that rent breakers across a variety of compact equipment. Six Bobcat nitrogen breaker models are available to fit T450- T870 compact track loaders, S70 - S850 skid-steer loaders, MT55 and MT85 mini track loaders, and Bobcat E10 - E85 compact excavators.